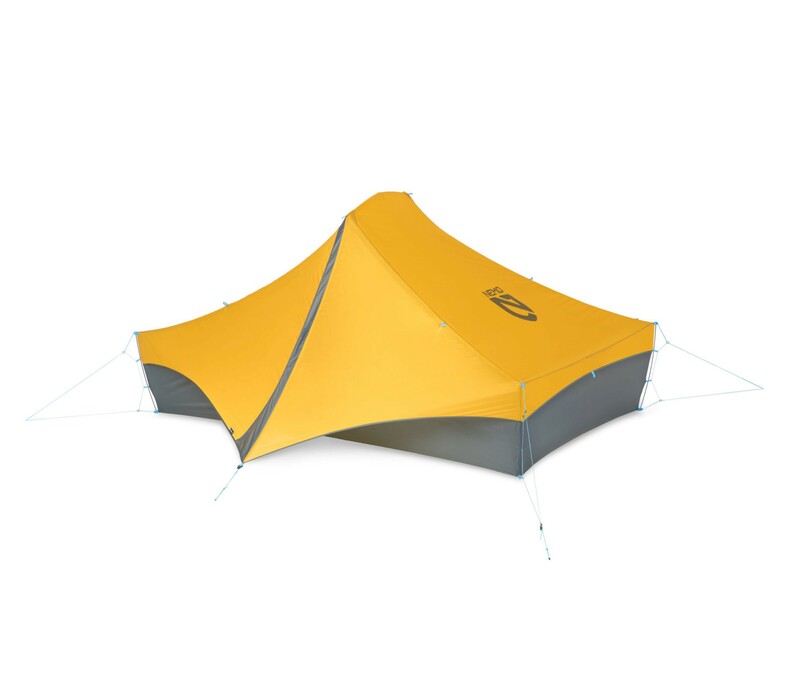 Nemo Rocket 2P - Ultralight Backpacking tent. 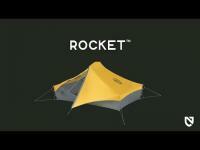 Rocket 2P is the lightest livable two-person shelter what Nemo designed. 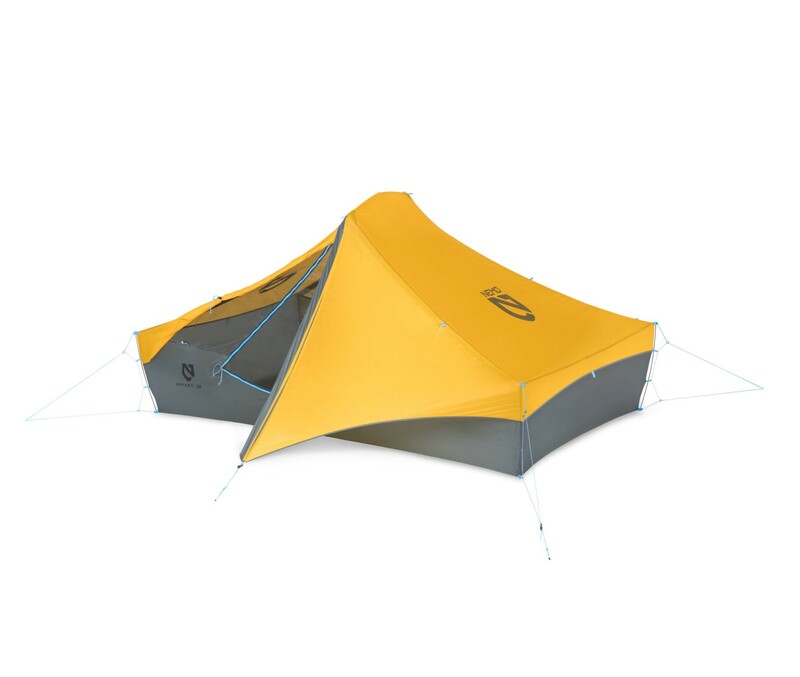 Employing technical fabrics, new A-Frame style and T-bar supported pole structure, Rocket offers unprecedented livable spaces at an effervescent weight. 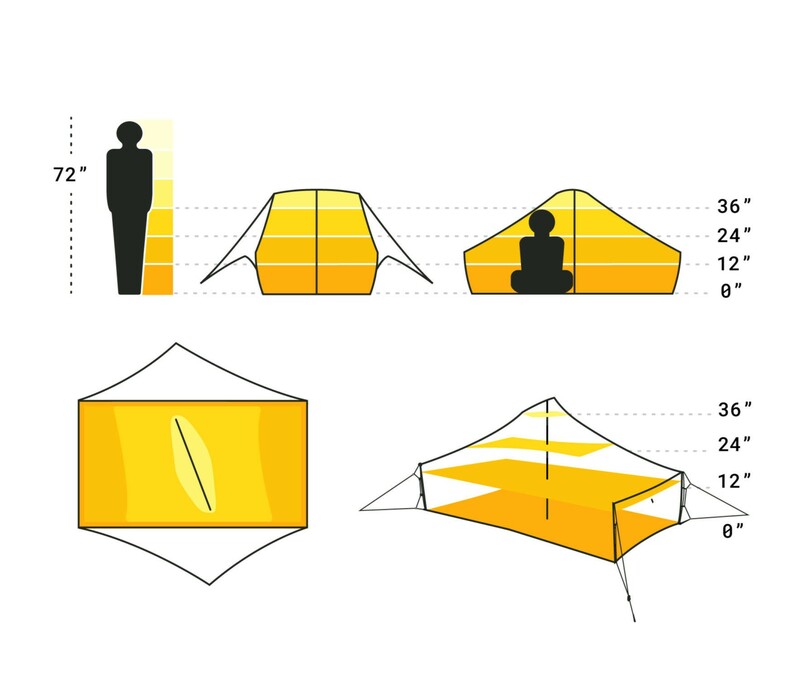 This iconic minimalist shelter takes ultralight design to the next level. 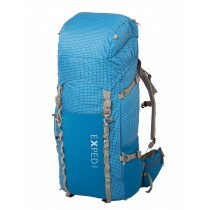 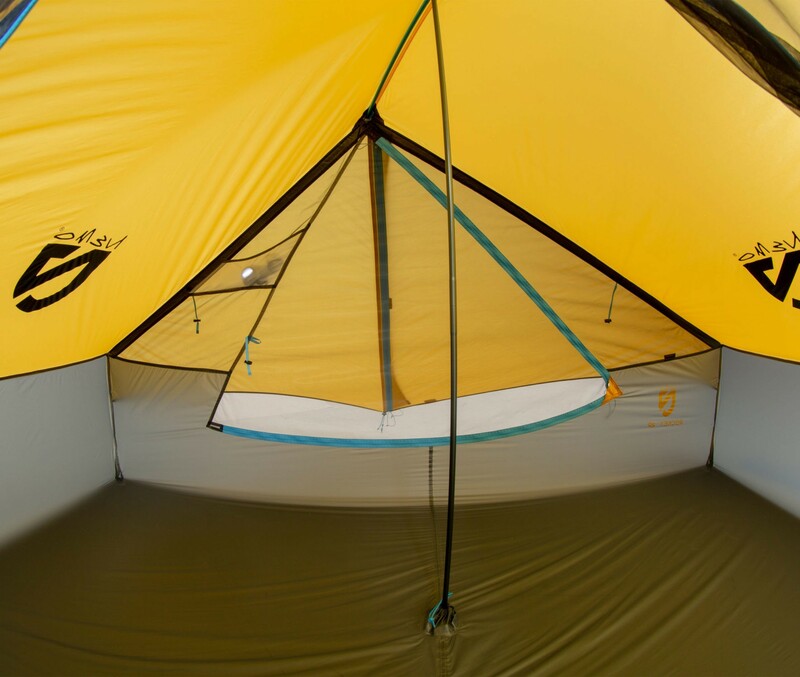 Two efficient doors and vestibules offer easy access and plenty of gear storage for each person and unprecedented liveable space for two hiking partners for 777 g.
Superior technical materials include Dyneema cord, DAC Featherlite NSL poles, and premium ultralight 10D fabrics set the standard. 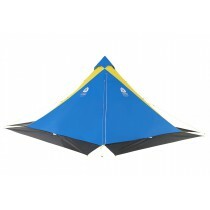 Unique T-bar pole structure supports an angled ridge pole for a symmetrical design that disperses head room evenly. 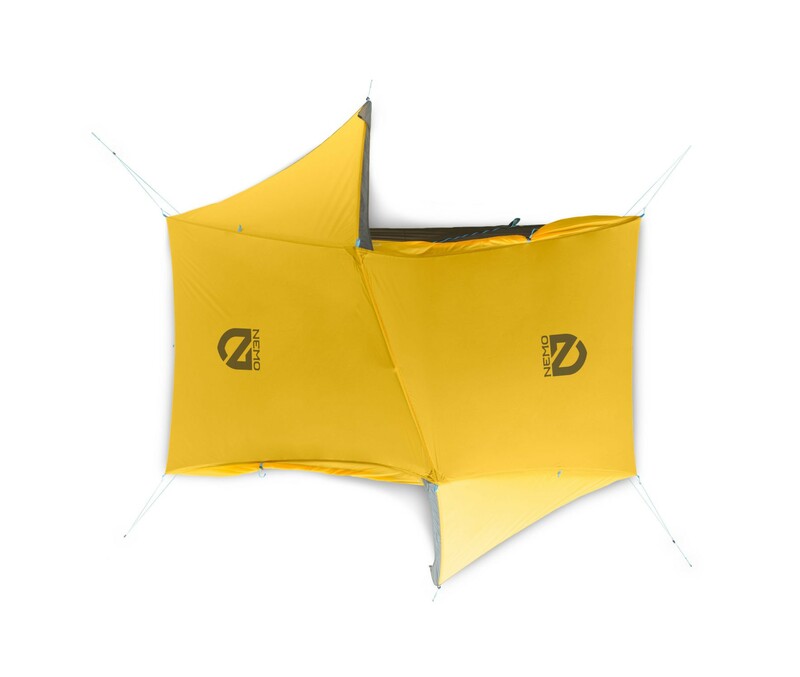 Integrated No-See-Um Mesh sidewalls provide ample air flow and temperature control while keeping condensation and bugs at bay. 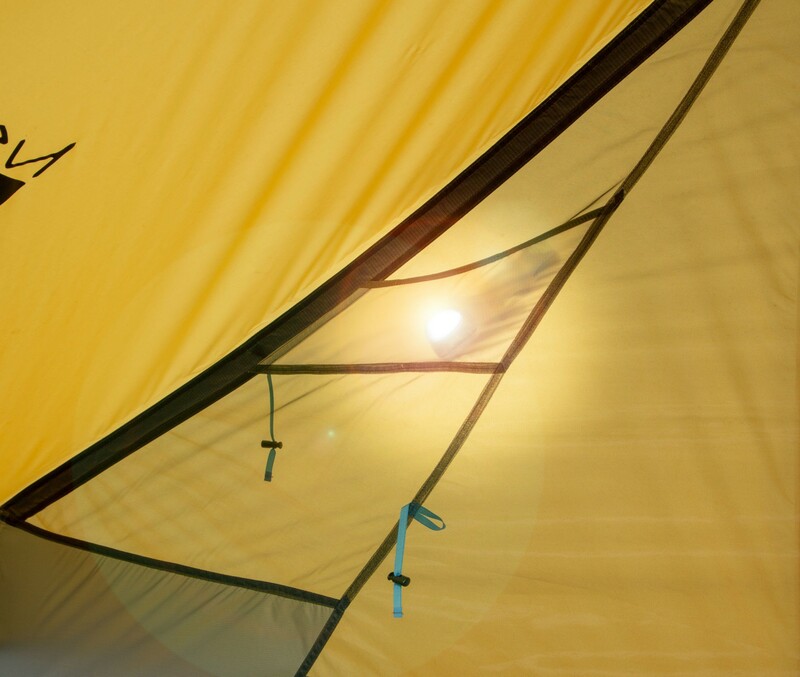 Option to ditch poles and set up with trekking poles or guylines from above to shave additional ounces. 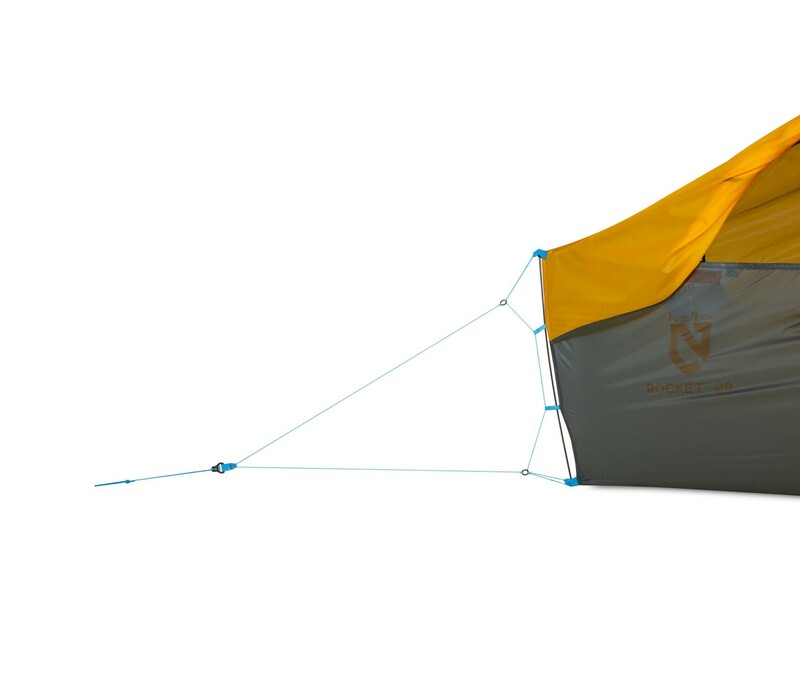 Self-equalizing corner system with carbon fiber struts increases stability and livable space, all with an easy tensioning system. 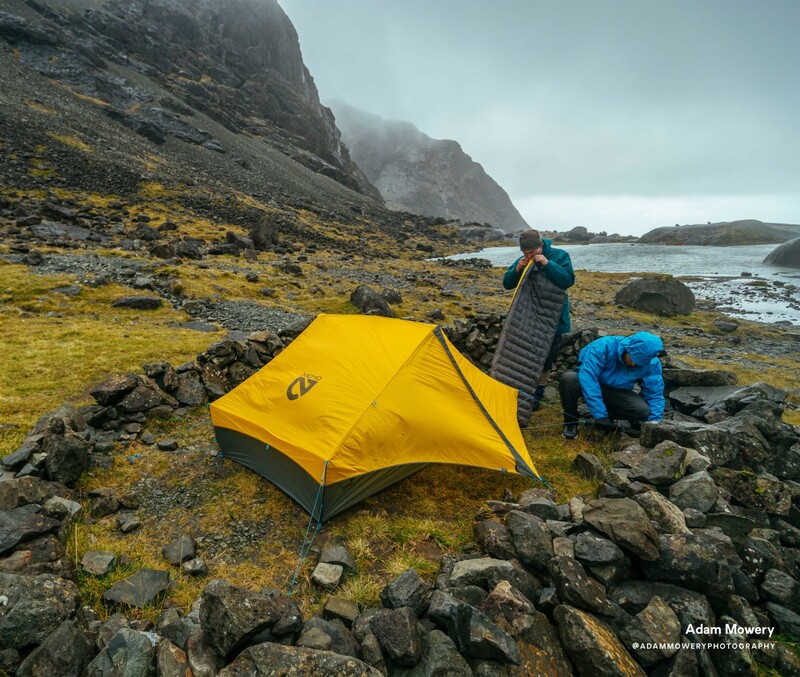 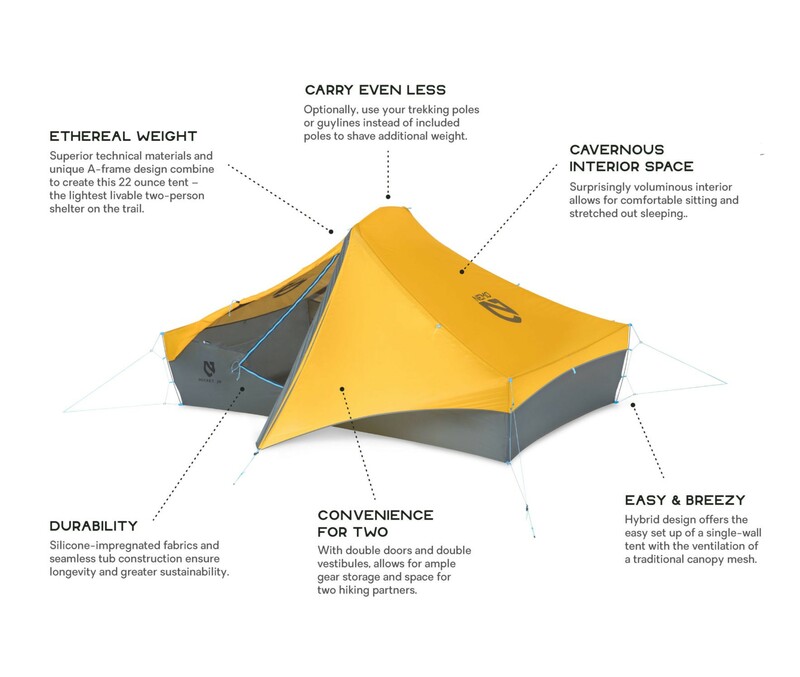 Hybrid design balances the easy set up of a single-wall tent with the ventilation of a traditional canopy mesh. 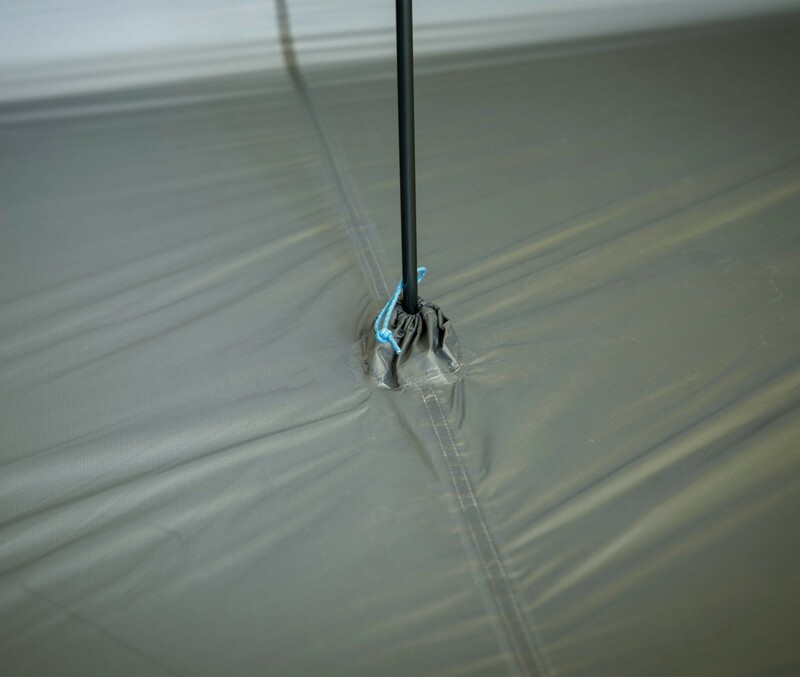 Seamless tub construction and silicone-impregnated technical fabric ensures increased longevity and greater sustainability. 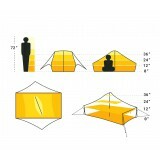 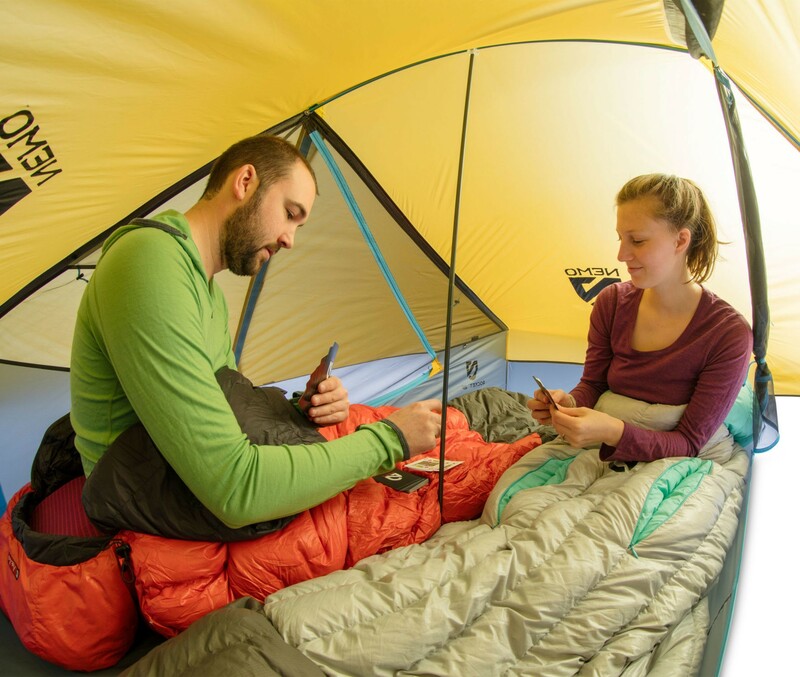 Light Pockets at both corners use special light-diffusing fabric to cast an even glow throughout the tent.